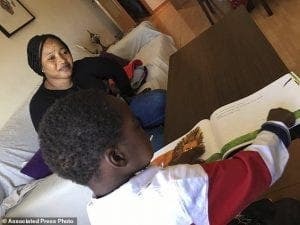 AN African migrant mother has been reunited with her four-year-old son after being kept apart for seven months as Spanish authorities wanted to confirm that they were related. A lawyer who took their case to the European Court of Human Rights said 33-year-old Bahoumou Totopa and her son, Abdramane Aziz Cisse, met on Monday in Melilla. 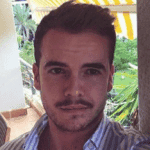 The reunion came after the European court questioned the Spanish government in October for their controversial handling of the case – which saw them forbid contact between the mother and son until they confirmed they were related. 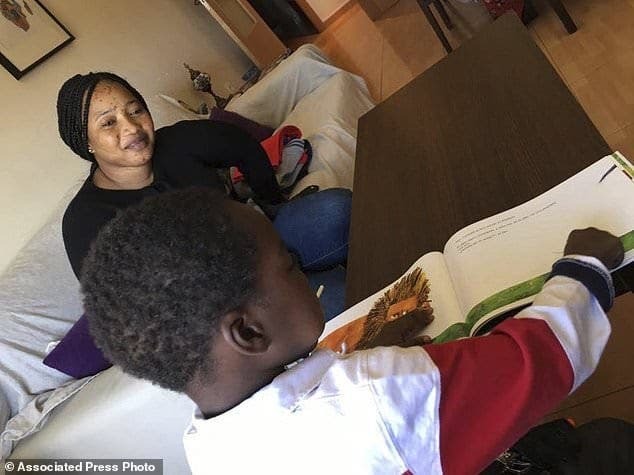 Women’s Link Worldwide Lawyer Teresa Fernandez said the reunion went smoothly even but Totopa, who is from Ivory Coast and speaks French, found it hard to communicate with her son Abdramane who is now much more fluent in Spanish. Totopa had last saw her child more than seven months ago, when he and her younger sister set off from Morocco in a rubber dinghy. Her sister – the boy’s aunt – nearly drowned during the March trip and was taken to a hospital in Melilla by the Spanish authorities. Abdramane was sheltered in a center for migrant children in Melilla while authorities conducted genetic tests. Totopa had followed them in another boat in April and ended up on mainland Spain after a rescue operation. She could not travel to Melilla, so filed documents and DNA samples to prove she was Abdramane’s mother. Authorities in Melilla allowed them to communicate via videoconference for the first time in late October, after the European court questioned the Spanish government’s handling of the case. The need for the European court to be involved ‘is a sign that in Spain, there is prevalent discrimination against those who are women, migrant, of African origin and in an irregular administrative situation,’ Fernandez said.